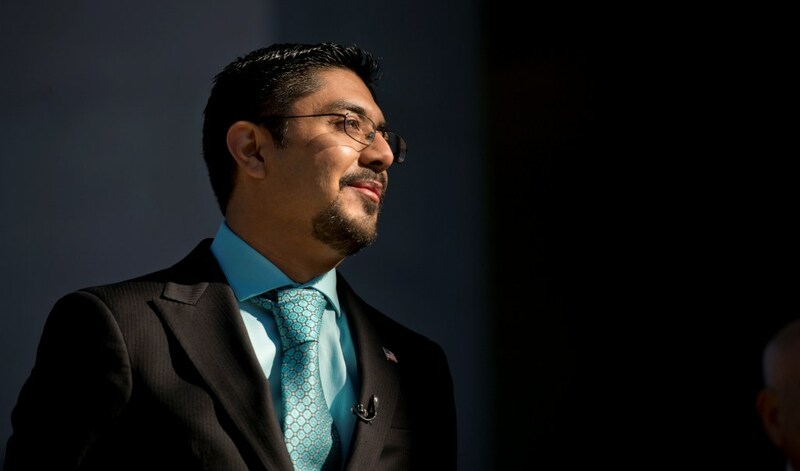 Sergio Garcia made history and international headlines when he became the first undocumented immigrant admitted to the California State Bar. The nearly five year battle that went all the way to the California Supreme Court took resilience, grit and determination – attributes Garcia learned as a child. Garcia was born in Mexico in 1977 and came to the United States with his parents, unlawfully, when he was just a toddler. Admittedly, he was too young to remember much about those early days, but he recalls being poor, moving around frequently and wearing donated, hand-me-down clothes. When he was nine, his parents decided to move their family back to Mexico. But to Garcia’s surprise, not all of them were returning. A few years later, his older brother moved back to the States to be with their dad, leaving Garcia to be the man of the house at just 11 years old. He took the new responsibility seriously, helping his mom carry his sister to the hospital when she got stung by a scorpion and borrowing money from the neighbors to keep food on the table. The maturity and initiative he showed at home carried over into school, where he became very active in student government and convinced the local government to give his school free books. The city council, which housed the government, was right next to a jail. And it was what he learned about the inmates there that inspired him to become an attorney. For immigrants living in America, he offers this advice: Do what you have to do as long as it’s legal and doesn’t require you to compromise your values. Let people help you along the way, especially your family. And don’t forget who was there for you when you were struggling. With that dream in his heart, Garcia finished secondary school and graduated with the highest grades in his class. His father came to Mexico to help him celebrate, just as he’d done for his elementary school graduation. But this time was different. Garcia went on to graduate from Durham High school in 1996 with a 3.9 GPA, in spite of the fact that he didn’t speak English, and received letters to attend several colleges, including UC Davis, Berkeley, Stanford and Chico State. Taking his mom’s advice, Garcia enrolled in Butte College where he turned a two-year education into a four year stay. After Butte, Garcia went on to California State University, Chico (Chico State) where he completed a paralegal certificate program. That led him to an internship with the Community Legal Information Center in Chico, California, where he met Dane Cameron, an attorney who not only encouraged him to enroll at Cal Northern School of Law – a local school with a night program which Garcia didn’t even know existed – but also wrote him a stellar letter of recommendation. Garcia graduated from law school in 2009, passed the bar on his first try (a stellar accomplishment) later that same year and was preparing to begin his career when he found out he couldn’t get his license because he was an undocumented immigrant. This was also despite the fact that he’d been waiting for his green card for nearly two decades. That was the beginning of a multi-year battle. 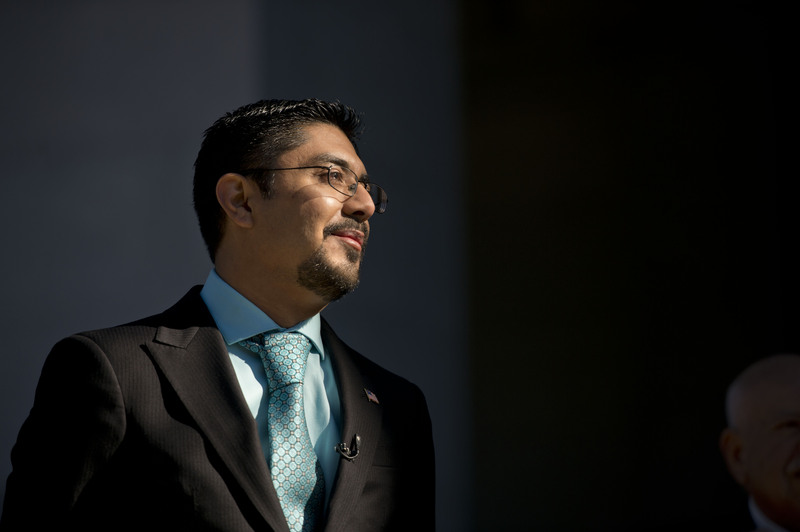 After lobbying the California State Legislature to change the law and taking his fight all the way to the California Supreme Court, in 2014, Garcia won the right to practice law, blazing a trail for other undocumented immigrants to do the same and cementing his legacy. “When the [media] asked me how blessed I must feel, I told them this is not about me, but about opening the doors for others. It is about breaking down that barrier that kept people like me from fulfilling their dreams. And now there are at least a dozen other attorneys who have benefited from my case,” he said with emotion. His case will actually be added to the law books in California with some schools like University of California Davis making his case required reading material as part of its curriculum. 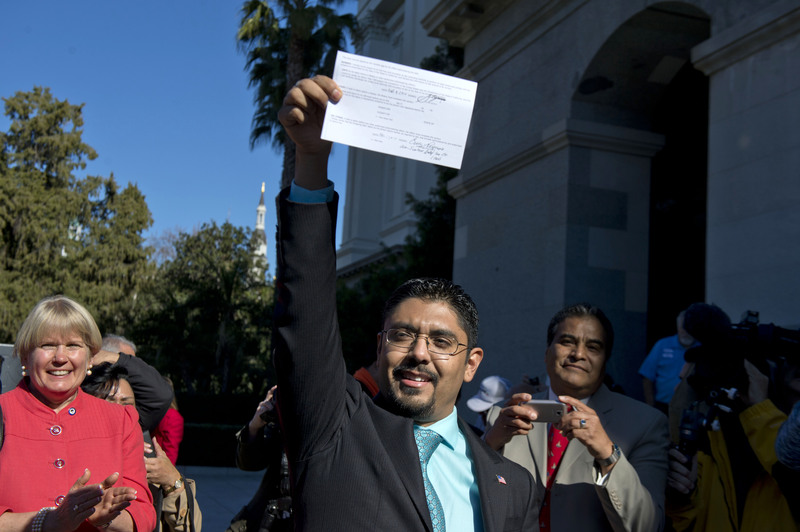 Garcia, who received his green card about a year after his case was decided, has opened his own law firm in Chico, California and recently opened an office in Sacramento. While his story has been celebratory, particularly among the Hispanic and general immigrant community in the United States, his win also garnered negative reactions. “The worst that happened was a situation that occurred at 2am in the morning. Some people tried to break into my house, which I am sure was done to scare me — and they accomplished that because I ended up sleeping with a knife under my bed for a couple of weeks after that,” he recalls. He also received nasty voice messages with what he describes as ‘every single cuss word you can ever think of’, but he was ready for it. And as he worked through some of the negative reactions he received, he continually made it a point to focus on everything that was positive about his story and his life. He is now living his childhood dream, albeit a slightly modified version. After his journey, Garcia has reframed his idea of the ‘American dream’ and challenges us to do the same. Rae Oglesby is a freelance multimedia journalist and the founder + chief storyteller for Oglesby Communications Consulting. She can be reached at rae@oglesbyconsulting.com.